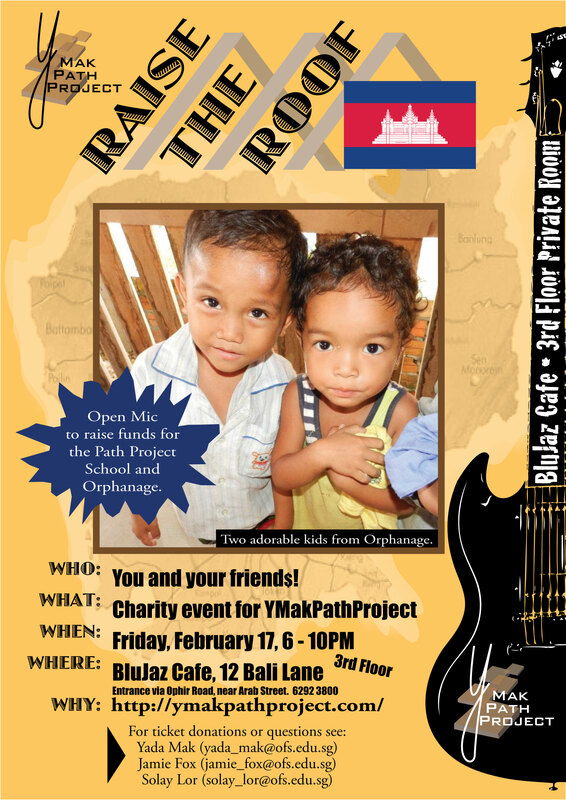 Raise the Roof will be our first fund-raising event at BluJaz Cafe- 3rd floor on Friday, Feburary 17, 2012 from 6pm to 10pm. Donation tickets for the night will be 30 sing, and they can be purchased either ahead of time or at the night of. Each ticket will then be entered into the luck draw, and the winners must be present to claim their prizes. Remember, you are not limited to purchasing just one ticket, you can buy as many as you want! Please come out and join us for a night of fun as we socialize and mingle for a great cause. There will be music, a BAR, banter, a live band, and open mic for those brave enough to show case their talents. Thank-you for your support especially Foxie, Coz, Tim, Langley, Yorkie, Adian, Oliver, Rob, Ramesh, & Sprecks.